From Tuesday 1 January 2019 until Tuesday 30 April 2019: Enjoy 35 % off! From Wednesday 1 May 2019 until Sunday 30 June 2019: Enjoy 30 % off! From Sunday 1 September 2019 until Thursday 31 October 2019: Enjoy 30 % off! From Friday 1 November 2019 until Tuesday 31 December 2019: Enjoy 35 % off! 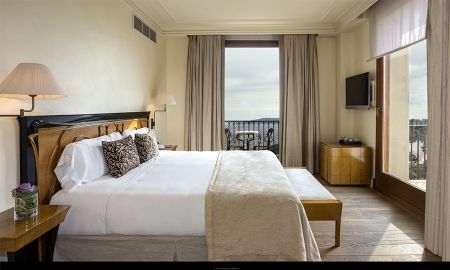 The Gran Hotel La Florida is a 5 star resort renowned for being one of the most luxurious in Barcelona and the perfect location to enjoy the city in a unique, relaxing environment. 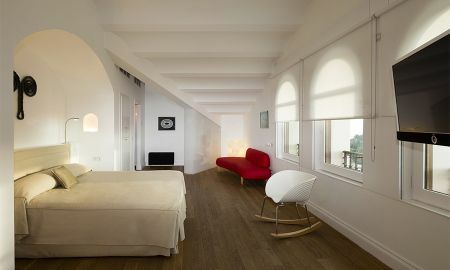 Its 70 rooms are decorated with a delicate color palette and oak wood floors. All are equipped with free Wi-Fi and some feature a terrace and private jacuzzi. 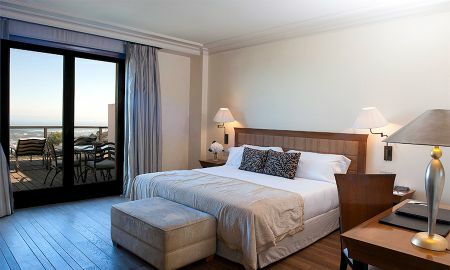 The hotel offers several options for guests to sample Catalan gastronomy. While the Barcelonas Restaurant reinterprets the tradition of Catalan and Mediterranean cuisine and delights its guests with fabulous local dishes, Café 1925 is the perfect place for a light lunch or romantic dinner accompanied by incredible views of the city. Les Terrasses Bar & Lounge is ideal for summer evenings with live music and the best sunsets in the city. Gran Hotel La Florida features a fabulous L'Occitane branded Spa, where guests can enjoy a wide variety of treatments for the face and body, as well as a water and wellness area, unique in Barcelona. The hotel also houses numerous private event venues, ideal for business meetings, romantic wedding ceremonies and social events. 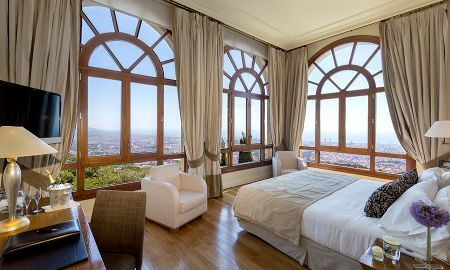 The Gran Hotel La Florida is located on the Tibidabo mountain, with stunning panoramic views over Barcelona and the Mediterranean Sea. This luxurious urban resort is located 500 meters above sea level, only 15 minutes drive from the city center and 23 kilometers (25 minutes) from El Prat International Airport. 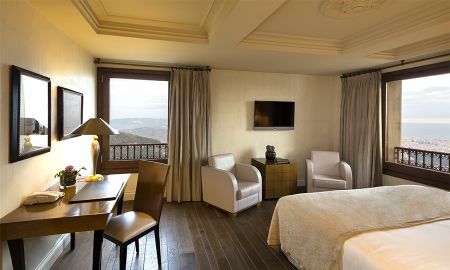 Please note, when booking more than 2 suites, different policies and additional charges may apply.